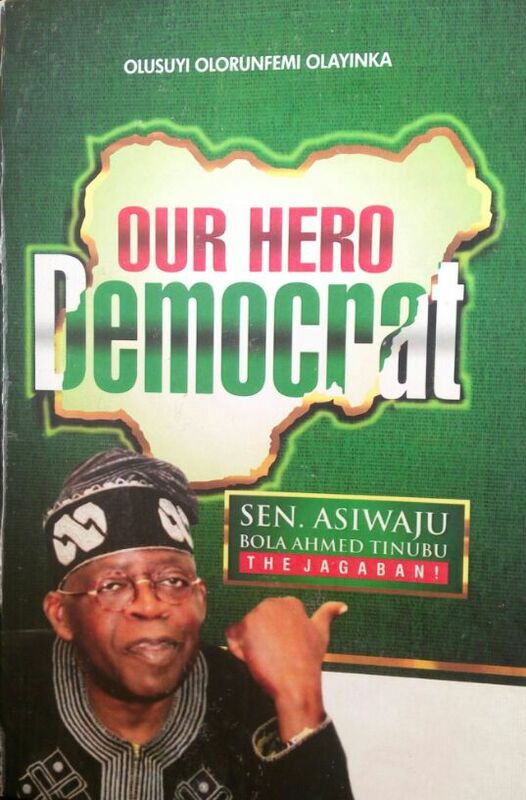 A member of the National Youth Service Corps (NYSC) serving in Kaduna, Olayinka Olusuyi has written a book on the National Leader of All Progressives Congress (APC), Asiwaju Bola Ahmed Tinubu, titled; ‘Our Hero Democrat’. The 248 page book chronicled the immense contributions of the former Lagos State Governor to Nigeria’s democracy, especially in face of fierce military dictatorship and opposition to advocacy for democratic rule. Presenting the book to newsmen amidst his colleagues, during their Community Development Service (CDS) meeting in Kaduna on Wednesday, Corps member Olusuyi said, though he is not a politician, as it is against NYSC rules, but he belongs to a NYSC CDS club which creates awareness on politics, economy, socio-cultural and religious issues, hence his resolve to raise awareness on the contributions of Tinubu to Nigeria’s democratic development. Olusuyi said, he decided to write on Tinubu for what he described as his sacrificial ideological, nationalistic theoretical, opposition activism, daring and selfless commitment to the struggle, enthronement and nurturing of the nation’s democracy, as well as his present struggle to keep Nigeria democracy in a modern shape. According to him, “I tilted my book, ‘Our Hero Democrat’ because Tinubu is our hero of democracy, due to his bloody sacrifice for Nigeria. Categorically, Tinubu is Nigeria’s Democrat by work, battle, sacrifice, struggle and resilient fight. I did not give him these titles, but he earned them on the political battle ground”. “I wonder when some people still condemn such a man who has sacrifice for this great nation. A lot of those who attack Tinubu today were nowhere to be found during the real struggle for democracy. It is unfortunate that we live in a country where people’s sacrifice for their nation is easily forgotten or never rewarded and most times victimised. “My question is, do Nigerians not remember the annulment of June 12 election and those who led protest that the presume winner be enthroned? Tinubu was a founding member and a kingpin in the struggle to enthrone democracy in Nigeria. “The present government have tried to come to power times, but failed during election. Whether we like it or not, the truth can never be hidden. Asiwaju branded President Muhammadu Buhari. Asiwaju was almost crushed to death when he became a target during the Abacha led military government”, he said. Reacting to question on whether the book was politically motivated, the Corps member said, he has never met Tinubu or any of his close associates, not to talk of being contracted to write the book. He explained that, “Tinubu is a Nigerian who has contributed to Nigeria’s democracy Immensely. And I believe in whoever beliefs in Nigeria. He did not start promoting democracy when it was easy, he did it when others were scared of being arrested during military oppression.